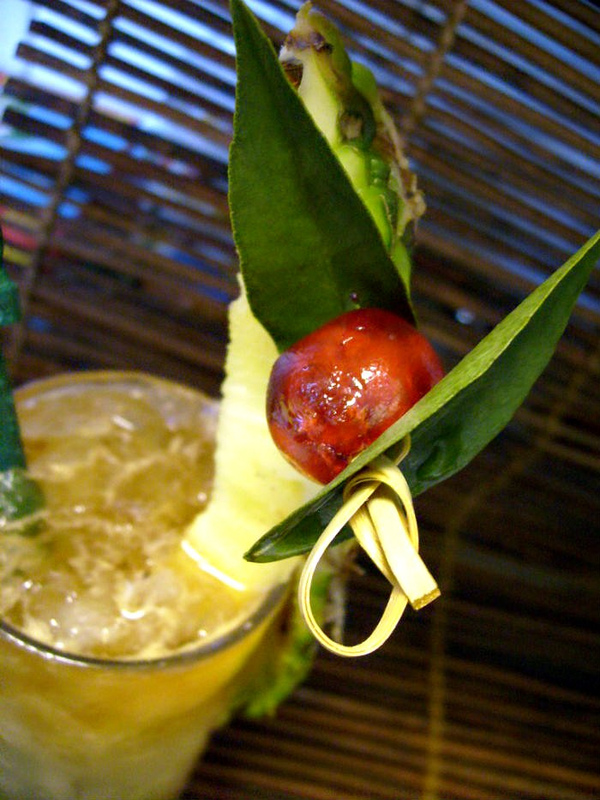 Since february is Tiki Month it`s just appropriate with a Tiki themed Mixology Monday and of course it´s the Pegu blog that host the event – mahalo Doug! He`s the one who invented the tiki month of february – and every tiki month he cranks out posts at a speed that at least i cannot catch up with on my own blog, it`s like a volcano eruption…and these posts are not only funny they are also very informative. And now he`s hosting MxMo Tiki as well, where does the man get his energy from? tiki drinks?? he must have some secret magic potion..
Aloha, booze bloggers — it’s been a quiet couple of months, between the holidays and the more-or-less widely observed month of Detoxuary, but we haven’t forgotten about cocktails, or our not-quite-monthly Mixology Mondays. But it’s February, and most of our past participants live in places where this can be a gruesome month full of rain and snow and other wintry nastiness. 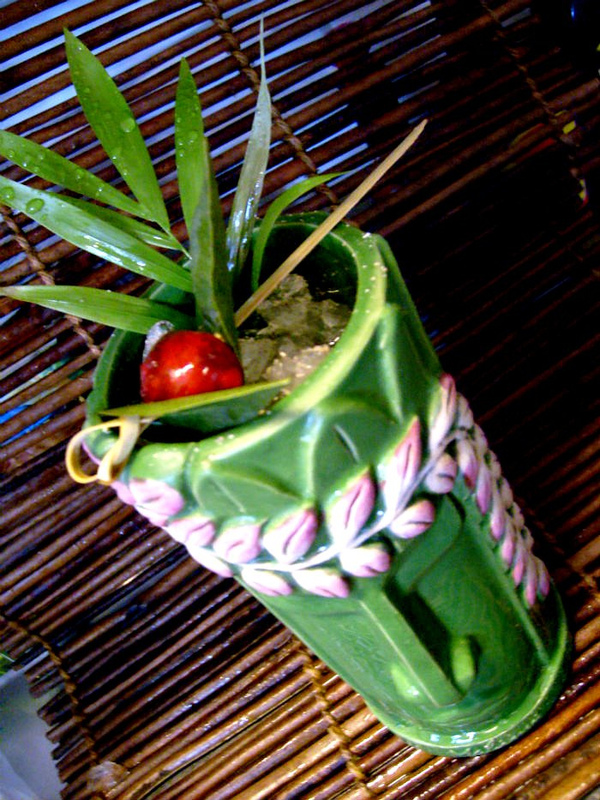 One such regular participant is Doug Winship at Pegu Blog, and this month, Doug’s doing his best to beat back winter by designating Tiki as this month’s theme. Since Tiki is more than just the drinks, feel free to post on whatever Tiki subject floats your outrigger canoe. I suspect most of you will want to offer up delectable drinks, but feel free to wax eloquent on aloha shirts, exotica music, decor, garnishes, food or whatever else moves you to enter the Tiki spirit! Well, from me he gonna get two tiki drinks and the first one was created by the Bum himself in honor of the 10th anniversary of Sven Kirsten`s Book of Tiki – the original “Tiki reviver” as stated on the Bum´s blog. Top with some grated nutmeg. Crush coffee beans in shaker and add muscovado syrup and muddle, add the rest of ingredients and shake hard with ice and double strain into a zombie glass with crushed ice. Garnish with pineapple and cherry. A HUGE Mahalo to the man who started the tiki month and so tirelessly keeps promoting it, posting in a speed that makes me ashamed,-) – Doug Winship! Lookin`forward to see you again in New Orleans soon! 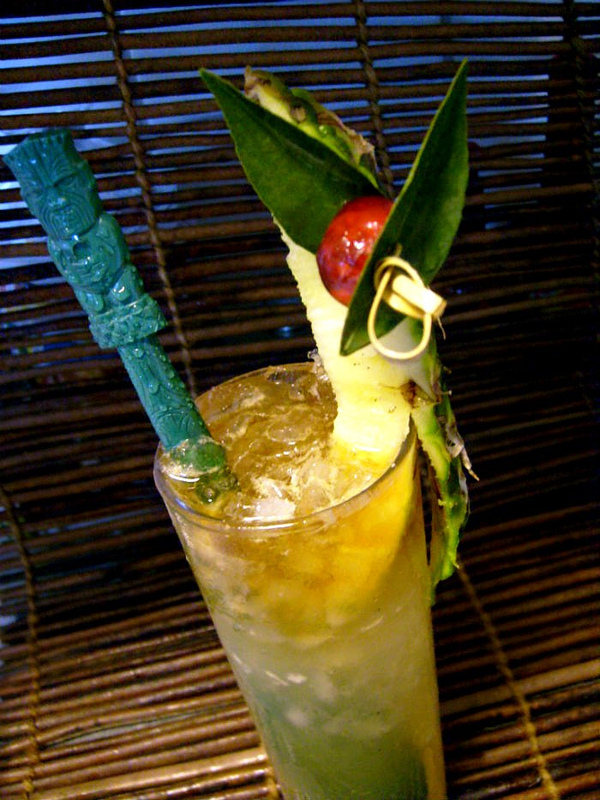 T, if you ever leave Stockholm and move south, I’ll open a tiki bar with you! I would open one there too, but I guess you are the only one that can pull this kind of tiki mood in such a cold place. WOW! they look so tasty!